MMG has reported the first shipment of ore through Townsville port from Dugald River. 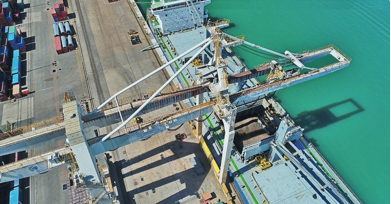 Around 10,500 wet metric tonnes of zinc concentrate produced as part of commissioning activities at the Dugald River Project departed the Port of Townsville for Huangpu, China this month. “I would like to recognise the significant contribution of Dugald River employees and contract partners in achieving this key milestone," said Mr Malan. Located approximately 65km north-west of Cloncurry in Queensland, Australia, Dugald River will process an average 1.7 million tonnes per annum of ore to initially produce 170,000 tonnes of zinc in concentrate, plus by-products. When fully operational, the Dugald River mine will be a top-10 global zinc mine.